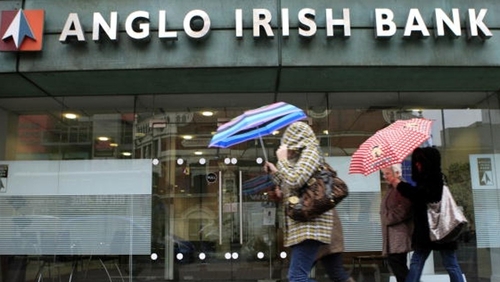 "Presumably it would take some doing to invent another Anglo-Irish Bank to fall in on itself"
Paradoxically, the great paroxysm came over water charges. These were rejected by popular protest and widespread non-compliance, sparked in part by a sense that enough was surely enough. The electorate also rejected a misguided attempt to address the problem of the Irish senate by abolishing it, but no further proposals have come forward for reforming the upper chamber. We seem incapable of large-scale readjustment, largely content with (or at least acquiescent in) who we are. Independents continue to enjoy a political heyday, even as their "genepool" suggests alignment with established political parties in many cases. An early, anguished response to the predicament saw the letters pages of The Irish Times filled with responses to the question "was it for this?" The query drew attention to the sacrifice of the rebels, intent on establishing Irish sovereignty, only to see it handed away to foreign officials representing the IMF and ECB. Much of that concern has disappeared, with the political focus remaining, on the one hand, on preserving Ireland’s corporate tax rate (and refusing the €13 billion owed by Apple), and on the other by contemplating the spectre of Brexit. The British remedy will not be Ireland’s, strong in its EU allegiance, just as the Icelandic option of burning bondholders was sidestepped.